Gold has been around with us for ages and has thus played a vital role in shaping the financial trading system to what we now know it as. History has taught us about gold’s use within the times of the Babylonians, Greeks, Egyptians and the Roman Empire just to mention a few. Gold still plays a major role in investment at this time. There are a lot of ways to trade gold online these days without handling physical gold. One of such ways is via gold futures contract, ETFs or exchange traded funds and online gold bullion. 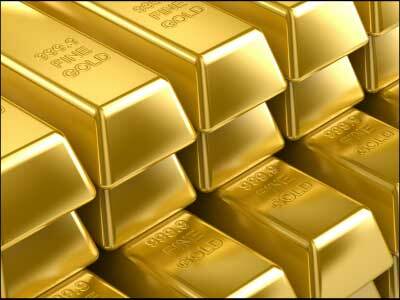 Gold trading possesses a lot of similarities to currency trading. The dynamics of trading are not different here, as you buy when price is low and sell when price has appreciated. Gold is traded via OTC or over the counter method just like its forex counterpart. Online gold trading offers less risk as compared to currency trading. This is in a lot of ways due to the differences in parameters that measures the prices of gold and currencies. Spot trading offers one of the safest medium for gold trading. Spot traders are aware of some of the merits they enjoy over currency traders. Gold offers a more predictable trading pattern, unlike the forex market. The ease at which investors can understand the trading patterns, makes it more attractive for investor to get involved with gold trading. Gold traders hence do not require some genius mind to predict the market. I should also state here that only a few factors affect the gold pattern and thus its easy predictability. One of those main factors that affects gold pattern is the US dollars. Online gold trading allows for time saving, as the system requires little time for supervision as compared to the more volatile currency trading. This means that you don’t have to spend a lot of time monitoring the system. What the gold trading system needs is some minutes of your time each day to check your system. People are always on the lookout for the best investment opportunities. Gold and currency trading have both offered investors such niches for high returns. It should be noted that they both offer some level of risk, but online gold trading bears less risk.